THE VILE dating their foundation back to 2009 recorded their first single in an almost all-star line-up featuring both the members and ex-members of such bands like HELLKRUSHER, BROKEN BONES, DISCHARGE or ANTI SYSTEM. Nothing to think about much this year. THE VILE at OEF 2016!!! 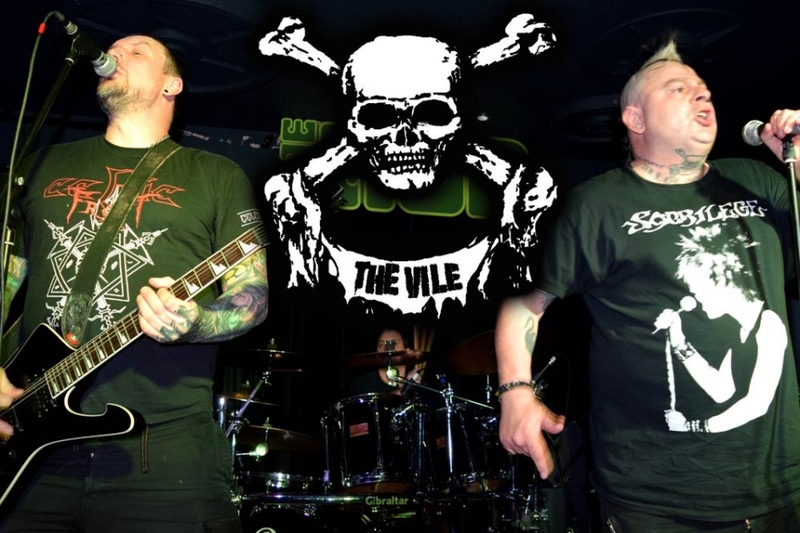 The Vile were formed in Nottingham England around 2009 by Rat Varuker and have included both currently and in the past, members of Discharge, The Varukers, Broken Bones, Hellkrusher, Anti System and Warwound amongst many more. They have released two 7” singles, God save the queen and Fear of the truth and also the EP, Provocation. After numerous line up changes they have settled and have been pushing hard gigging around Europe.They are currently finishing up their début album, Immoral and Greed, which should be released in the summer of 2016, which they will be touring around Europe and the U.S.